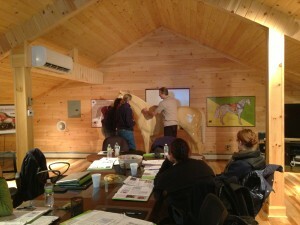 Do you feel that you want to make a difference in the equine industry? 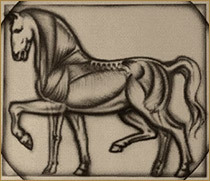 Are you a rider?A trainer or an Equine Professional ( Veterinarian or Bodyworker)? that sees some of the problems in the sport of riding today? Do you want to enhance your skills and education so that you can use it in your everyday love of horses and help equines live happier, healthier, and PAIN FREE lives? 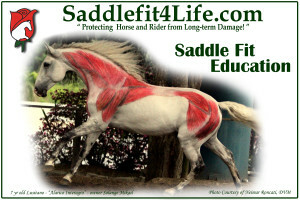 SaddleFit 4 Life is an Educational Program that offers continuing education for those already working in the equine industry or with previous equine backgrounds, that are looking to make a difference in the world, not just in their “job”. 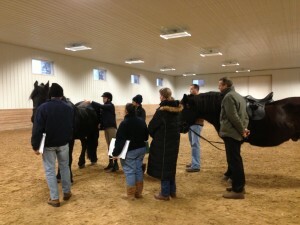 SaddleFit 4 Life also offers Professional Workshop Days for Veterinarians and Other Equine Medical Specialists looking to enhance their education or improve on areas to help their patients more effectively with todays ill fitting saddle problems. 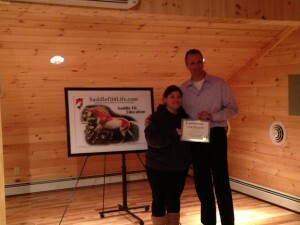 “We are a network of professionals dedicated to protecting horse and rider from long-term damage. Get an education and certification that allows you to continue to do what you love everyday while making a difference in the equine world! SPACE IS LIMITED AND CLASSES WILL FILL UP QUICKLY! !